✅ CONTEMPORARY SYRACUSE DESIGN: Taylors Eye Witness have been designing and creating knives for over 150 years. This experience is shown in the handmade craftsmanship of this range of knives. 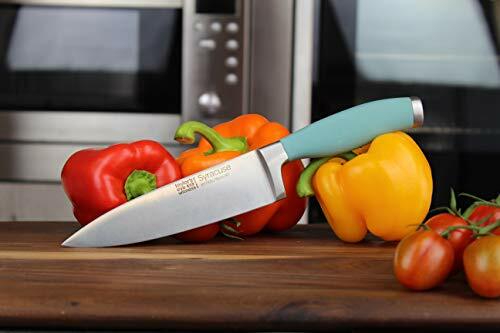 The sleek well weighted knife comes with a soft, Aqua Blue rubberised handle which will give a grip like no other. 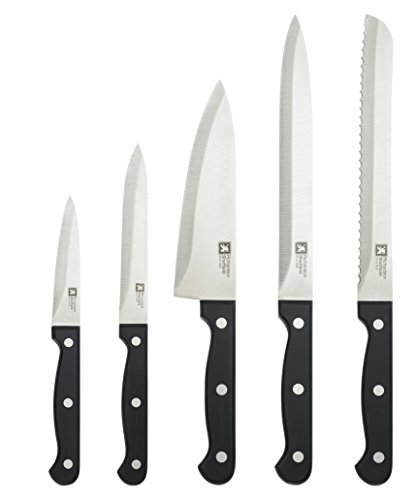 These unique knives would suit both contemporary dining and traditional farmhouse kitchen alike and would be a talking point with family, friends and dinner guests. 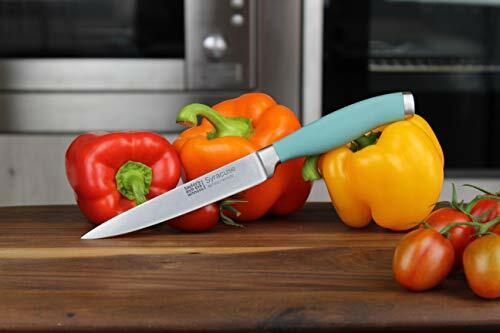 ✅ PRECISION CONTROL: These useful cooking tools are medium length for enhanced accuracy, precision and speed. 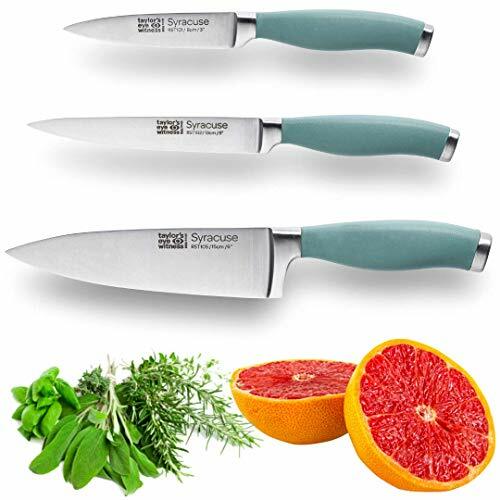 The three piece starter set is truly multi-functional for vegetable, fruit, fish, meat and sushi. 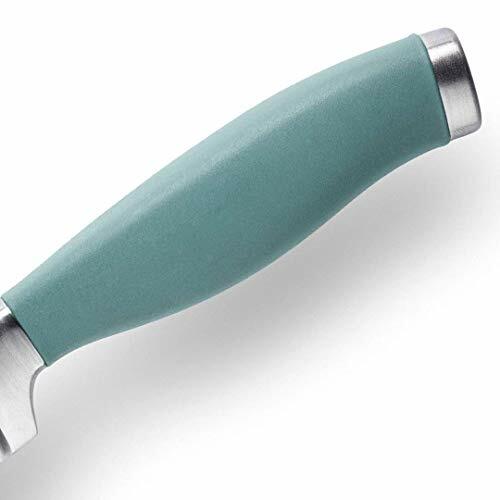 They are perfect for crunching or slicing with ease through flesh of hard or tight skinned vegetables. 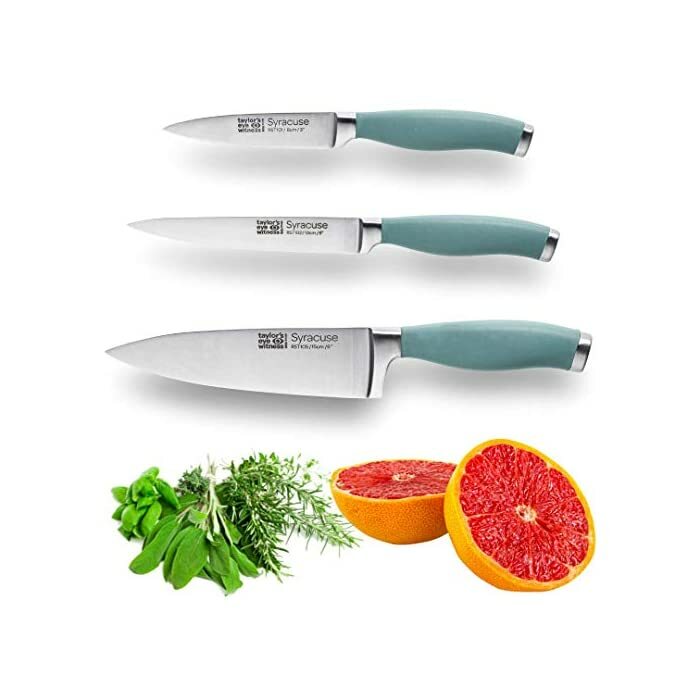 This trio of knives has been chosen to give maximum versatility in the work area. ✅ 25 YEAR GUARANTEE: At Taylor’s Eye Witness, we are so proud of our products that we guarantee the tools in the Syracuse Range for 25 Years. 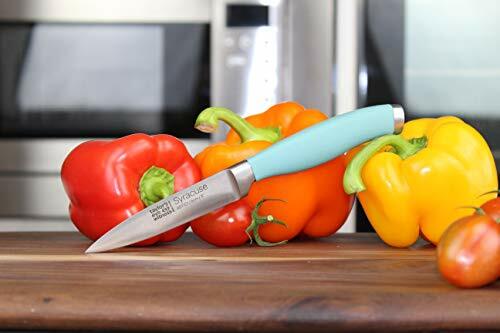 If in the unlikely event that your knife becomes defective under normal kitchen use and following care instructions provided, it will be repaired or replaced without charge. 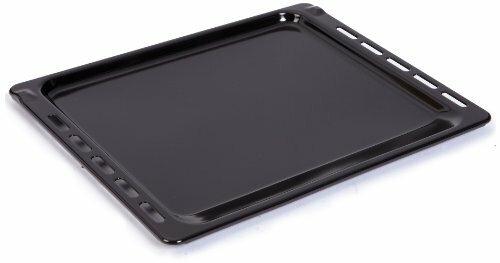 Best used on wooden or plastic chopping board/surface. Dishwasher safe, but hand wash recommended to extend the knives life. 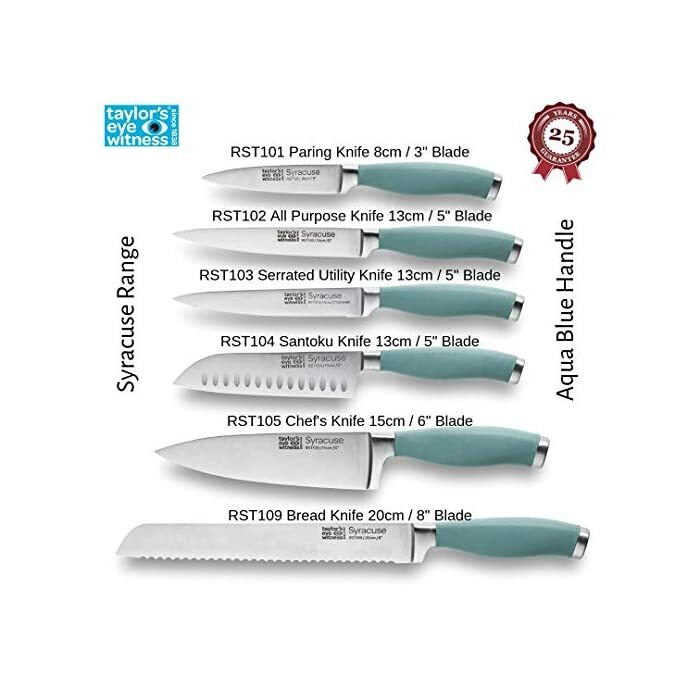 If you are looking for a professional, restaurant quality, long-lasting and uber stylish universal knife set, then you’ve certainly found it. The soft Aqua Blue handle coupled with the lustrous high quality steel blade and bolster/finger guard/protector screams sophistication. A strong all-rounder and an irreplaceable addition to your cooking arsenal. Taylors Eye Witness is a 150 year old company, which was founded in the early years of the 19th Century as designers and producers of kitchen knives, pocket knives, scissors and sharpeners. Employing highly skilled Sheffield craftsmen and with a knowledge base which is unrivalled, Taylors Eye Witness have stood the test of time through an unrelenting dedication to quality, service and good old fashioned technical know-how. ✅ EFFORTLESS CUTTING AND SLICING: Fine-ground hollow-edge blade to yield the sharpest concave, bevelled cut, that’s extraordinarily resilient to blunting whilst at the same time being easy to sharpen. 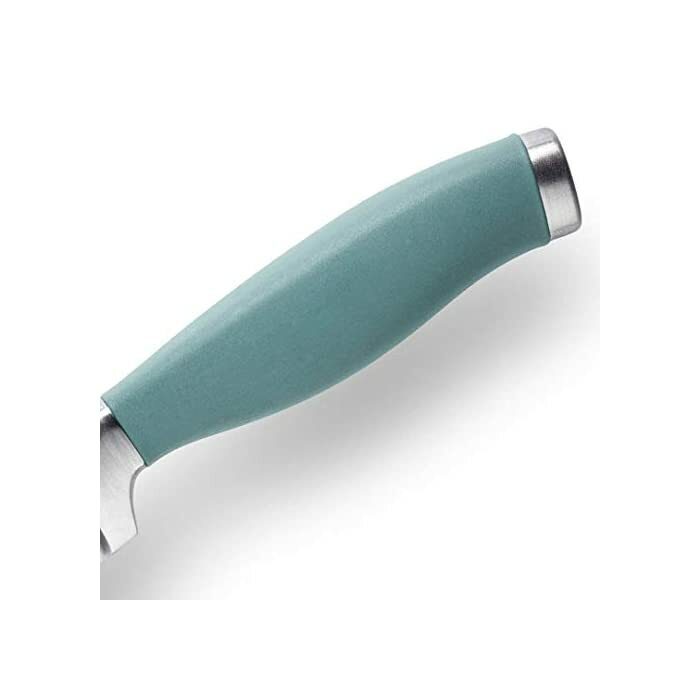 The contemporary sleek and stylish soft grip handle is not simply for aesthetics; it’s ergonomically designed for good grip & comfort even after prolonged use, highly hygienic & keeps you in command to control the thickness of each slice. Cuts precise laser thin slices right or left-handed. 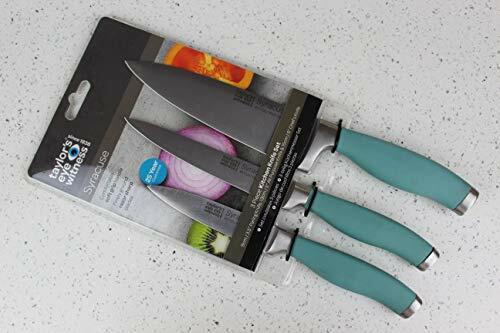 ✅ COMPLETE THE SET: 8cm/3″ Paring knife, 13cm/5″ all purpose knife, 13cm/5″ Serrated utility knife, 13cm/5″ santoku knife, 15cm/6″ Cooks Knife, 20cm/8″ Bread Knife and a 2pc starter set. Perfect housewarming gift idea or wedding present for the bride and groom. 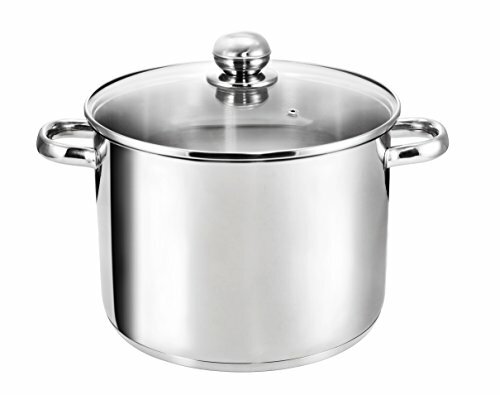 Ideal for hobby chef to professional. The best tools that you could have in your cooking arsenal. What are you waiting for? 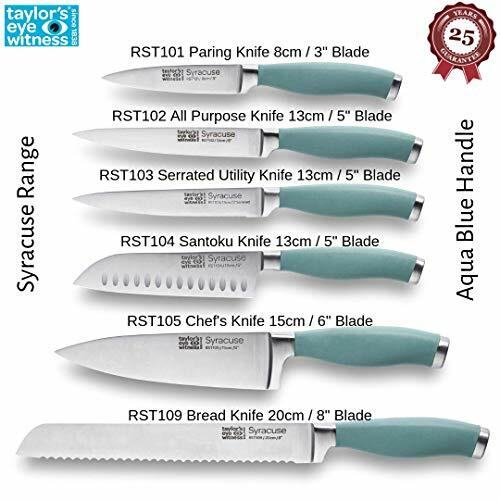 Do your culinary and gourmet skills justice with a contemporary Syracuse knife by Taylor’s Eye Witness.